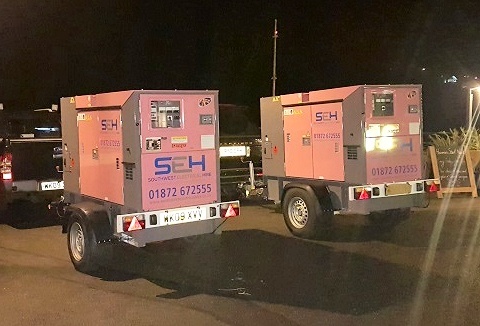 We provide a reliable, competitive temporary power hire service with mobile generators ranging from 1.5kva - 500kva plus distribution panels, leads, lighting towers, outdoor flood lighting and festoon lights. We cover public, corporate and private events. We specialise in offering a greener power solution for the outdoor event market. 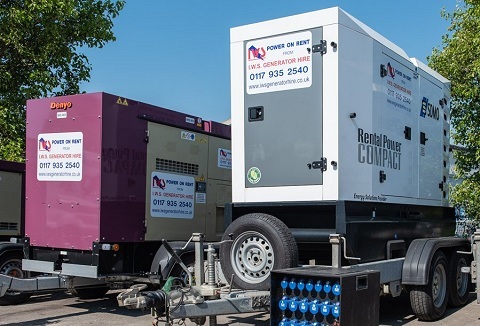 Our hire fleet of super silenced generators (10Kva - 500Kva), are run on 100% reclaimed bio-diesel and supplied with a fully qualified and experienced electrical engineers. 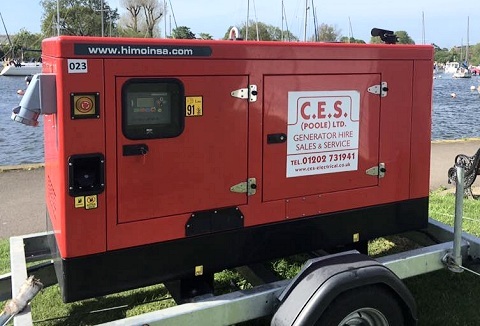 We have a range of generators available for hire that are suitable for many different applications. Features include: low noise, security, greatly extended running time. Also for hire portable distribution units, cable protection systems and assemblies. When planning an outdoor event a reliable power source is paramount to ensure everything runs smoothly. Our trailer mounted generators are well presented, up-to-date, quiet units, fully serviced and load tested. Electrical distribution for your event. 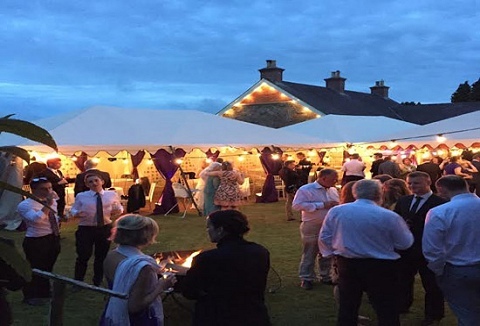 Tailored power and lighting solutions to the events industry from small private parties, marquee weddings and markets to large music festivals. Super silent road towable generators of all sizes up to 220KVA plus cables, adapters and lighting equipment. 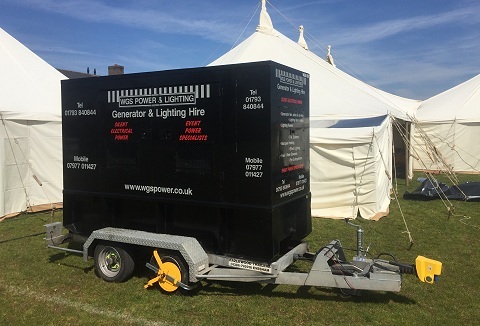 We supply power hire solutions to the event industry with standard ultra silent generators. 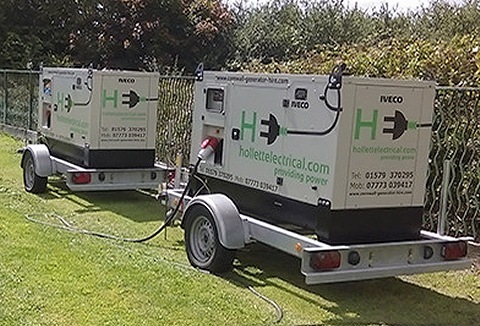 Our ultra silent road towable generators are suitable for any size event from a small private party through to corporate and public events, film & TV productions. 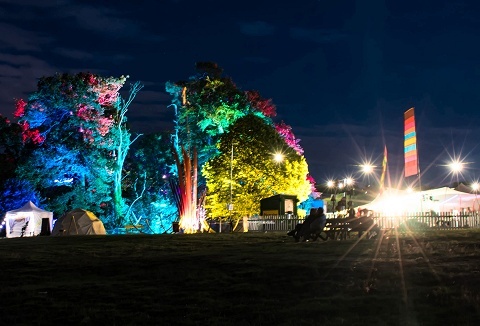 Specialists in generator hire and lighting tower hire, we provide a range of lighting and power hire solutions for concerts, food festivals, weddings and many other outdoor events. 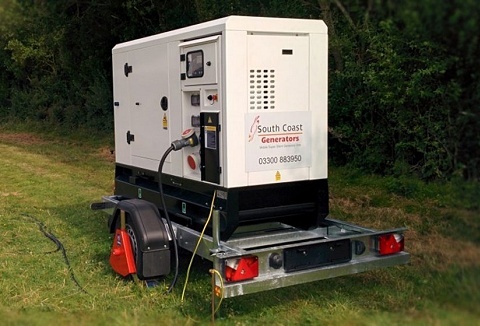 Our generator hire range also includes super silent diesel generators. 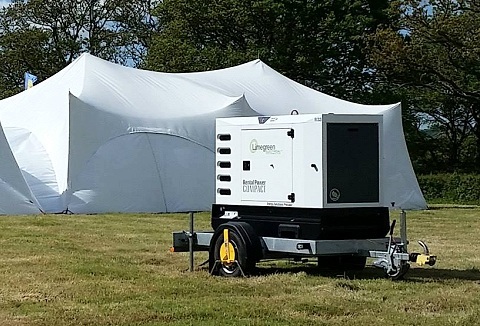 We specialise in providing reliable & affordable temporary power solutions for any outdoor event, wedding or festival. Combining our experience of events & electrical installation, we are able to provide generator sets & power distribution hire services. We provide high quality, well maintained power solutions for all outdoor events. 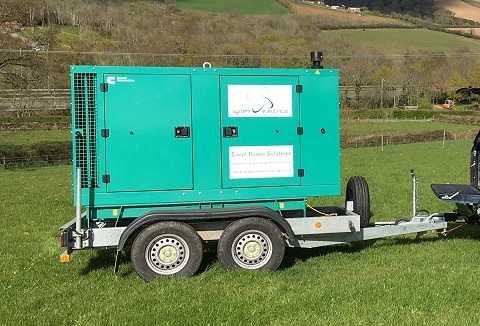 Our mobile generator hire service offers super silenced units ideal for noise sensitive locations. Offering an entirely professional service with extremely competitive rates. We can provide event generator hire for a variety of events including festivals, weddings, concerts and parties. All our units are super silent or ultra-silent, trailer mounted and with our 4x4's we can install your generator in almost any location.